For over 15 years, MTS has been providing specialty services to municipal water utilities and private sector industries throughout Canada. We provide consulting and personnel developmental services such as reservoir maintenance & inspection, emergency response programs, specialize in cross connection control program development, implementation and facility hazard assessments. 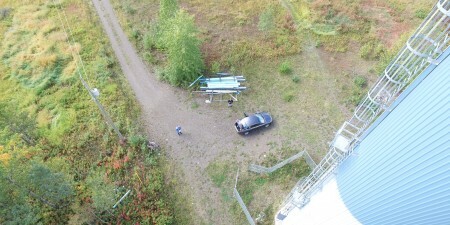 As leaders in Cross Connection Control and facility inspection services, MTS has developed and continues to provide innovative technology for field data collection using the latest handheld devices. Facility inspection data can be documented smoothly in a detailed, organized and consistent method while maintaining industry standards. 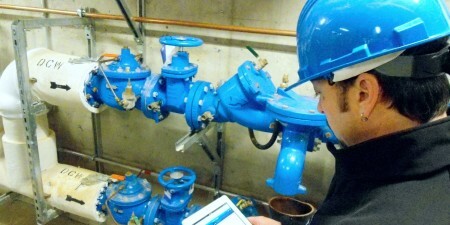 Relevant data is accessible instantly in the field with the ability to inventory hazardous cross connections, existing backflow preventers or track previous inspections, all with a tap of a screen. Results are deliverable often the same day. In keeping with the latest technological advancements, we have broadened our field inspection services to include professional level Unmanned Aerial Vehicles (UAV’s) and Remotely Operated Underwater Vehicles (ROV’s). This provides our clients with new, effective and affordable observational platforms. MTS operators are experienced pilots and are SFO Certified to Transport Canada requirements. We can help make your job easier. Click below for more details.